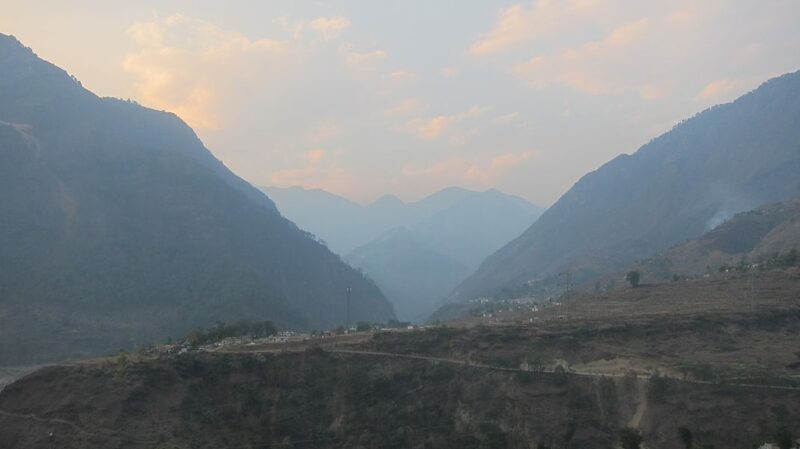 Before you read my blog, You should Read the story of Radhika and Yashoda, two sisters who live in the Himalayan Village! The story says that they both travel for up to six hours a day to school and back. Why – because education is the most important thing in their lives. BBC came out with this amazing article and I couldn”t stop myself from sharing the amazing inspiration! And what is this story doing on my page – If you read the story properly you will see how the two girls who travel up to 6 hours a day to the school and back are getting fit and fearless beyond words. If you haven’t had the patience to read the entire story (how could you not :)) then I’ll list down what these girls do everyday for the sake of getting educated! The village they live in is called Syaba – it has no roads. They set out for their 3 hours trek on a narrow track coevred with lose stones! The article says – that ”One of the most difficult parts of the journey lies some two hours ahead of them – crossing the Bhagirathi River”. There, they will have to pull themselves to the other side in a metal trolley suspended by a cable high over gushing water.It requires a lot of strength – more so when it rains and the rope is heavier to pull. Injuries are not uncommon. Villagers have damaged, and even lost, fingers in the overhead cables. And because this is still not enough, as soon as they reach the safe part of the Bhagirathi River, they wait for a taxi to take them – by road – to school. they cross thick forests where bears and leopards have been spotted! I hope the story leaves you inspired to chase, go crazy, fight hard, stay positive and work really really hard for that one thing you want from yourself in this one lifetime!